What will the next five years be like for the translation industry? Where will the translation industry be in five years time? The translation industry is a bit of a dark horse, really. For many years, translation was a fairly quiet and stuffy domain, populated by grey-bearded grammar fiends with a love of language. But the globalisation of the late 20th century, coupled with the technological advancements of the Internet, has changed all of that. Statistics from Common Sense Advisory (CSA) show that the market for outsourced language services was worth an incredible USD 40 billion in 2015 (Common Sense Advisory, ‘Global Market Study: 2015’). Unlike many other sectors, translation has breezed through the recession with ease, and continues to expand. A recent report by the CSA (Common Sense Advisory, ‘Top 100 Language Service Providers: 2016’) estimates that the translation industry will have grown to USD 45 billion by 2020. So what other changes await us in the next five years and beyond? 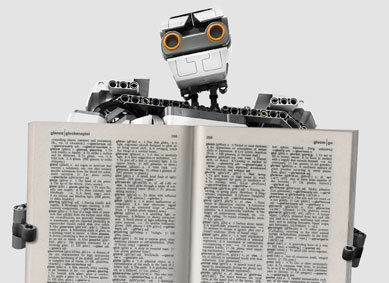 Will the translation agency of the future be run by robots? Will we all have translation microchips implanted in our brains at birth? Or perhaps we’ll wear glasses that provide subtitles whenever someone speaks another language? From the serious to the silly, we take a look at translation trends, exciting evolutions and future forecasts within the industry. It’s fair to say that as the internet has grown, machine translation, also known as MT, has become increasingly common. These programs automatically translate text using databases, without the aid of human hand, and most of us are familiar with them. Big names in machine translation such as Google Translate and Microsoft Translator appear all over the internet, and it might be that these services become even more integrated with our online experience, with talk of many search engines automatically translating foreign language webpages if you don’t provide multilingual options. Within the translation industry proper, machine translation is a different proposition. It’s widely recognised that machine translation is still nowhere near the standard of human translation, partly because computers are so very bad at many of the skills that make a great translator, for example handling idioms, jokes, innuendo or nuance. Nonetheless, many clients do choose to use machine translation for getting the gist of information in a foreign language, and one increasing trend is to combine machine translation with a service known as post editing, in which a human translator is provided with the MT output and checks it against the source text to ensure it is correct. In practice, post editing is still the Wild West of the translation industry. As anyone who has used MT knows, its output is quite often nonsensical, and post editing commands a much lower rate than translation, while often being just as time consuming as translating from scratch, so the very best translators avoid it. Perhaps the machine translation/post editing combination might replace some low-level translation services as time goes on, but it’s clear that for companies looking for publishable standard translations, the only way is going to be to hire a skilled professional human translator. This is not to say that machine translation doesn’t have its place. Many of the programs that professional linguists use to translate texts are now beginning to integrate online machine translation output, often in widget form alongside data from dictionaries, term bases and glossaries. Here, machine translation is just one weapon in an ever-growing arsenal of translation resources, but just like any other weapon, it needs to be handled with care, preferably by a trained professional, so that nobody loses an eye. If there’s one thing that characterises Web 2.0 it’s proliferation. As new platforms open up in every industry, including social software, wikis, blogs and aggregators, there is more information available than ever before. For a skilled translator, this increasing availability of information is great news. Now you can sign up to newsletters on the most obscure topics, become online friends with other experts in your field and receive updates via RSS feeds, content aggregators and dashboard applications such as TweetDeck and HootSuite. It’s never been so easy to access vast amounts of information, and now there are plenty of clever solutions for sifting through the dross to find the gold. However, proliferation is not all good. This new abundance of information, much of it generated by your average Joe rather than a specialist, is not necessarily all of the highest quality. When finding information online, we all need to develop exceptional judgement, in order to avoid muddlesome misinformation, outdated data and erroneous evidence. This requires research skills, patience and knowledge of where to find reliable resources, and translators need to keep their wits about them in the online jungle. With this proliferation of information also comes the proliferation of service providers. Recently, translation has been notably recession-proof, and many skilled individuals previously employed in other industries are moving over to become freelance translators. But it’s not just skilled professionals looking for a career change who are now marketing themselves as translators. With so many resources available online, almost anybody can set themselves up as a ‘translator’. These shady operators may claim to speak ten languages perfectly, but use machine translation and online resources to cobble together terrible texts, surviving only because they offer rock-bottom rates and disappear into the murk of the internet as soon as they’re done. Many old salts in the translation world will tell you that, sadly, rogue dealers are becoming more common, and so clients need to exercise caution when choosing a partner for their translation needs. The good news is that many young, up-and-coming translators are investing in translation qualifications, with more and more universities and other educational institutions offering brilliant programmes to get bright young things off to a good start. Thanks to the growing profile of translation, more and more companies and individuals are educating themselves about how the translation industry works, to everyone’s advantage. We predict that as the translation industry continues to boom, clients will become increasingly well informed about how the translation process works. Clients will be much more willing to invest in resource creation for translation, knowing that high-quality style guides, glossaries and term bases will result in high-quality translations. Companies will also ask for a greater range of services from their translation team, from SEO and web design to copywriting, DTP services to localisation. We are already starting to see shifts in working practices thanks to this growing understanding of the inner workings of the industry. Ten years ago many companies still kept their records on paper, and seasoned translators well remember the days of illegible faxes, lost documents and weighty dictionaries well. Most modern companies have now moved online, and now translations are delivered in a range of file formats, including Word, PDF and Excel. So far, so good. However, these formats are also becoming outdated, as new formats take over. XML, or Extensible Markup Language, is a system for annotating texts with tags, so that texts can be read by both humans and machines. XML texts contain instructions that can be used for a variety of purposes, and users can generate their own sets of instructions, making it a system with a wide range of applications. Unlike HTML and other languages, XML uses human language so even a novice can read and understand it, and yet it’s still compatible with a range of other programming languages including HTML, Java, Ajax and others. As clients and translators get wise to the potential of XML tagged files these formats are growing increasingly popular within the translation industry, and we expect this to continue. So perhaps super-smart robot translators and multilingual ‘Babel Fish’ ear implants aren’t on the cards for the next few years. But this hasn’t stopped researchers from trying. 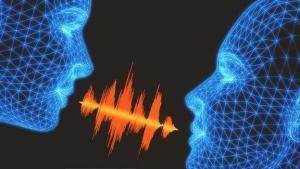 Scientists at Carnegie Mellon University in Pittsburgh have been hard at work on new translation technology that might one day revolutionise the way we communicate. They have developed a system that uses electrodes to read the facial muscles of the speaker, then deciphers the words being spoken, translates them into the target language and speaks them aloud. As an example, the speaker only needs to mouth the words in Chinese, and the synthesiser will read them in English. Sounds too good to be true? For the time being it probably is. The researchers say that they have achieved 80% accuracy, but only in conversations involving 100 to 200 words, while average human vocabularies are often upwards of 10,000 words. But although sci-fi breakthroughs, brainy robots and a life of perfect linguistic ease are still a long way off, we humans are nothing if not persistent. After all, we once thought the world was flat, the moon was beyond our reach and we’d never find a way to make cheese into strings. Maybe us translators aren’t out of a job just yet. But as the Chinese say, a journey of a thousand miles begins with a single step. We’re certainly looking forward to the ride.